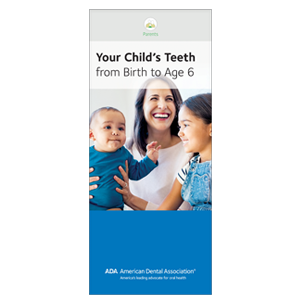 This revised brochure covers all the bases for young children’s dental health. Contains a tooth eruption chart, teething tips, step-by-step brushing and flossing photos and updated photos of decay in primary teeth. Also discusses fluoride, managing sucking habits, and the importance of visiting the dentist before age one. Pack of 50, 8 panels.